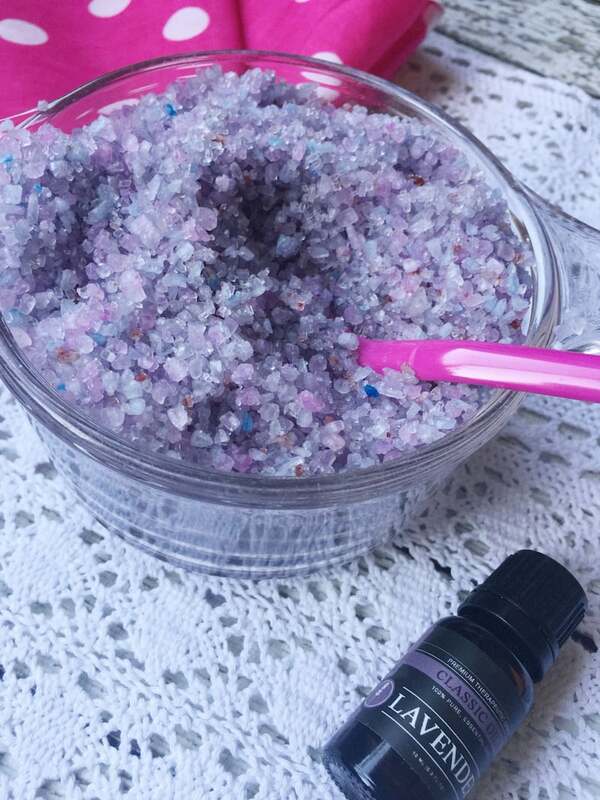 Are you looking to make your very own DIY foot soak and scrub with a bit of lavender flair? I have the perfect recipe for you and it’s so easy to make. You don’t have to book an expensive appointment at the spa to indulge in a little self-care. Self-care can start with you deciding to start taking care of your own personal needs. That means if your feet are aching at the end of a long day, you stop and recognize that hurt and you heal yourself. Self-care isn’t a manicure… it’s a virtual HUG. Give your body the attention it needs… and do it for less with these do it yourself recipes. After a long day of anything – whether’s it’s chasing after the kids, commuting into the city, or dealing with customer services lines at work – we could all use a little TLC. This foot soak will clear your mind and ease up your shoulders, too. There’s just something about the smell of lavender right? I love essential oils! I use them all the time and my children do, too. Once you get into the habit of incorporating them into your life, you will notice how quickly they can change your mood. 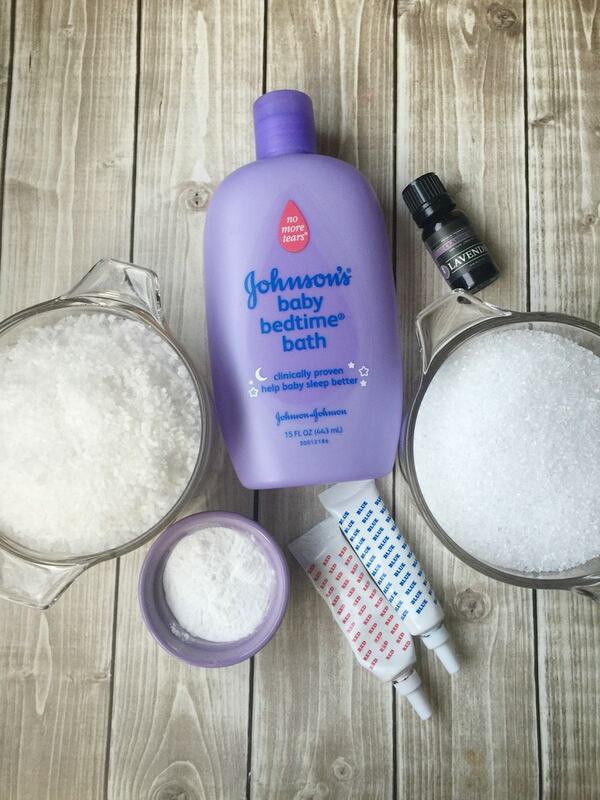 Let’s get started with what you need to customize your personal soak. Please note what I said about the coloring — you do NOT have to color the salt. That is really all about presentation. When I make this for myself, I don’t worry about making it LOOK a certain way. I only care about how this foot soak makes me FEEL. 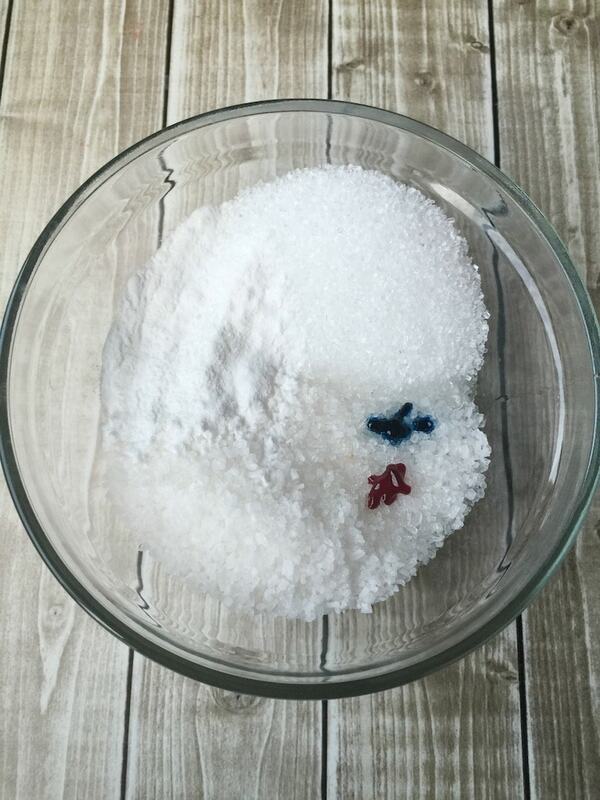 In a mixing bowl, add the Epson salt, sea salt, and baking soda. Pour 1 T of the Johnsons Baby bedtime bath and the food coloring. Add in the lavender essential oil. Mix until well incorporated and the color is a pretty purple hue. Store in an airtight container (for up to 3 months). Fill a large bowl or plastic container with enough warm water to cover your ankles. Add 1/4 cup of the lavender soak and then soak your feet for about 30-40 minutes. If you have children, this would be absolutely impossible. So, how about… soak them for as long as you can? When you are finished, dry your feet with a towel and massage in your favorite moisturizer. Repeat as needed. Looking for another DIY recipe? 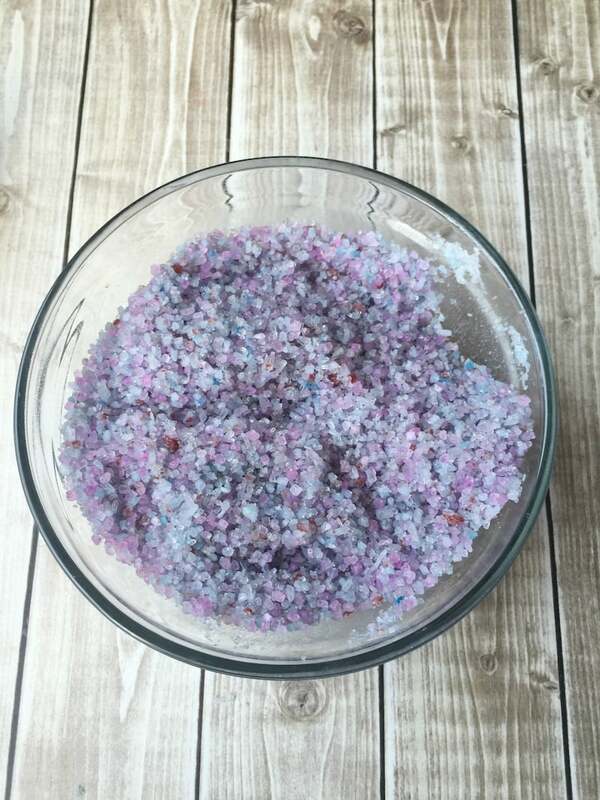 Once you are done indulging in this DIY foot soak, check out my easy DIY bath bombs recipe with peppermint essential oils.